Song of the day: Offcutts – "Break It Down (James Brown)"
Yesterday I ventured away from Australia but stayed on the power pop path. Today it’s the reverse: I’m going to stay in Australia but venture ever so gently off the power pop path. Hopefully, there won’t be a revolt. (As in “Peter, what’s that garbage you’re playing now?” Get it off!”) It may not be what you’re hoping to hear (I’m guessing that you’re hoping to hear power pop), but I hope you have a listen to it. I like the funky groove of the song. And I like the guitar rhythm borrowed from Jimi Hendrix. 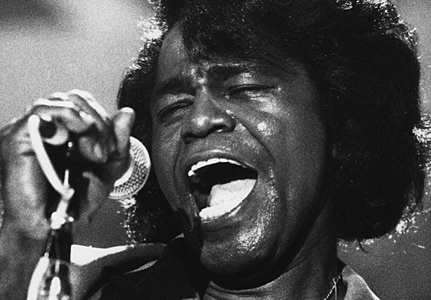 By the way, I had to use a photo of James Brown for this post (well, it made sense to me) because I couldn’t find one of Offcutts*. Update: My friend Col managed to find a photo of Offcutts. Thanks, Col! You are currently browsing the archives for the Offcutts category.